Dr. Meyer, a native of Washington State, received his DDS from the University of Washington School of Dentistry, Seattle, and his MD from Creighton University School of Medicine, Omaha, Nebraska. He earned an MS degree in physiology from the University of Washington while serving as a Research Fellow in the Department of Anesthesiology, School of Medicine, University of Washington, Seattle. He served a dental internship at the US Public Health Service Hospital, Norfolk, Virginia. He completed residencies in general surgery at the University of Vermont Medical Center, Burlington, and in oral and maxillofacial surgery at the University of Washington Affiliated Hospitals, Seattle. He received additional post-residency training in microsurgery at several institutions. 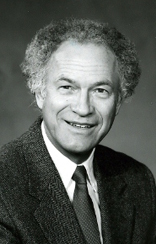 Dr. Meyer has held academic positions in surgery at the University of British Columbia Faculty of Dentistry, Vancouver, Canada; Creighton University School of Dentistry, Omaha; the Oregon Health & Sciences University, Portland; and Emory University, Schools of Medicine and Dentistry, Atlanta, Georgia (where he was Associate Professor and Chairman, Oral and Maxillofacial Surgery, 1979-86, and Clinical Professor of Plastic Surgery for over twenty years). He was Consultant and Maxillofacial Surgeon, Cleft Lip, Palate and Craniofacial Deformities Clinic, Department of Health and Human Resources, State of Georgia, 1981-2002. He entered private practice in Marietta, Georgia in 1986. Since 2007 he has been Director, Maxillofacial Consultations, Ltd., a surgical consultation service. surgical repair of nerve injuries, temporomandibular joint open surgery and arthroscopy, and orthognathic, cleft palate and craniomaxillofacial surgery. Dr. Meyer is a member of the American Medical Association, the American Dental Association, and many other medical and surgical associations. He is a Diplomate of the American Board of Oral and Maxillofacial Surgery, and he is a Fellow of the American College of Surgeons. Dr. Meyer is also a Fellow, American College of Dentists. He is married to Sheila Mary Hanley and has three grown children and three grandchildren. For relaxation, he enjoys bicycling, hiking, tennis, music (piano), and writing. He resides in Greensboro, Georgia.